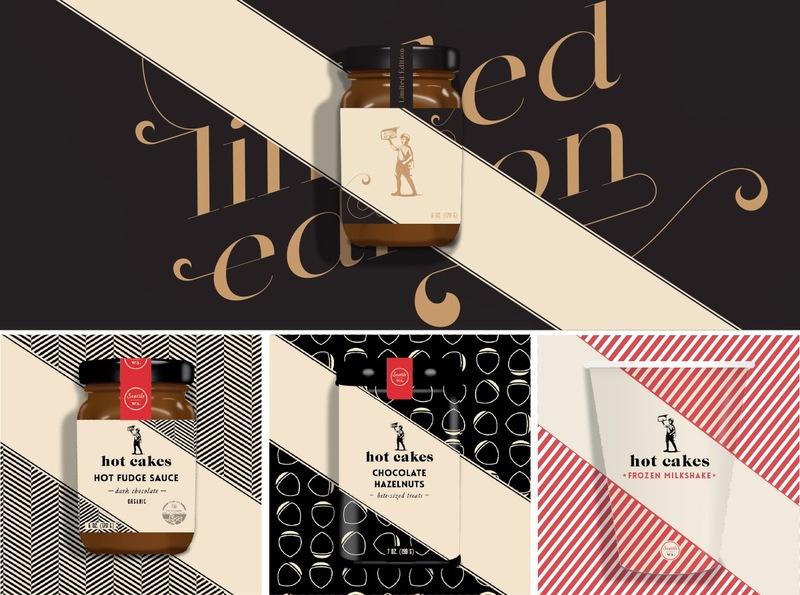 Agency: Creative Retail Packaging, Inc.
After five years of slowly building up the Hot Cakes brand, Martin found herself in a position to reassess her brand strategy. The company’s maturing status as a premium and well-respected brand in the specialty dessert industry warranted a refresh of both the packaging and in-store experience. 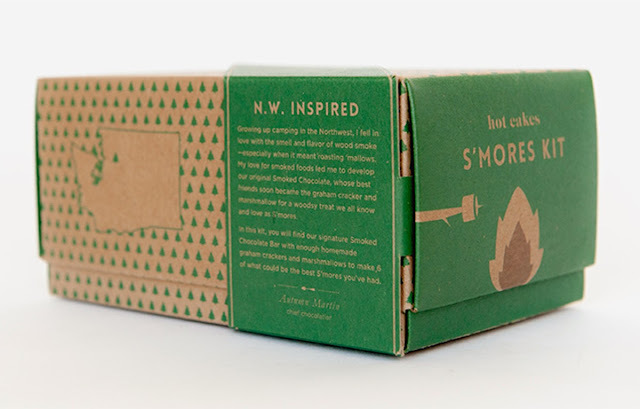 Built upon her passion for chocolate, the outdoors, and love for her Northwest roots, the brand is earthy, yet high-end – aspects that Martin wanted to carry forward into the next phase of design. 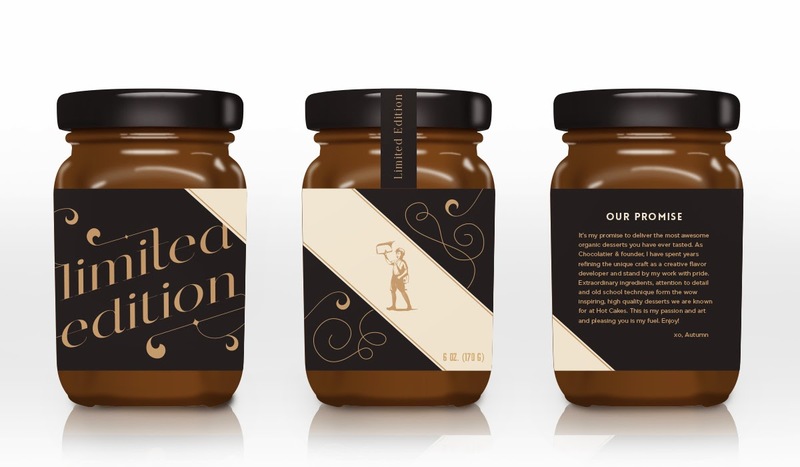 Martin partnered with Creative Retail Packaging (crpkg.com) to help strengthen her brand presence and awareness through her packaging, marketing collateral, and new storefront design. 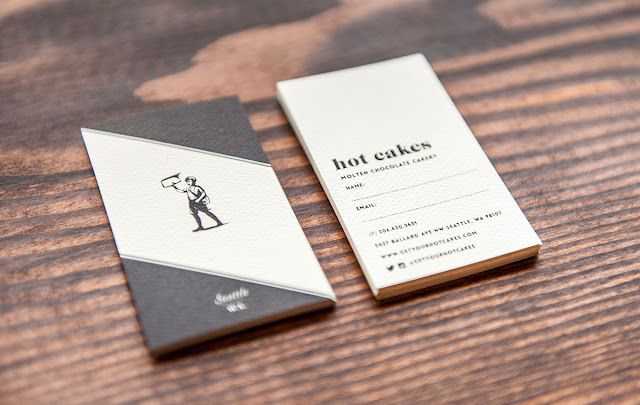 Collaborating closely with Martin, CRP delivered a full brand architecture system for Hot Cakes that features a consistent “sash” element inspired by the newsboy’s messenger bag from the brand’s original identity. 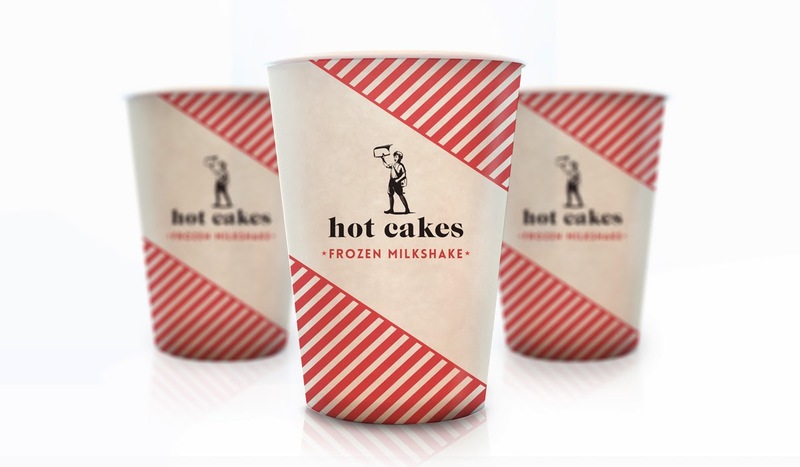 The holding device allows each product line to utilize bold and engaging patterns to differentiate between the brand’s several product lines. 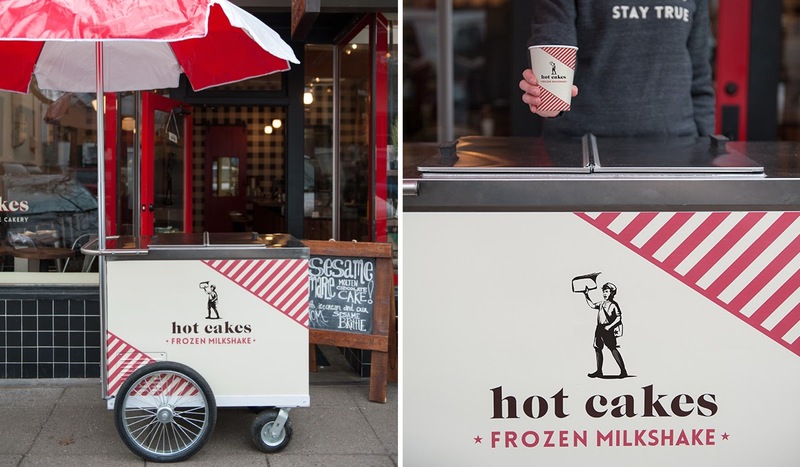 This design element extends also to collateral pieces such as her frozen milkshake cart, Molten Chocolate Cake Field Guide, and business cards. 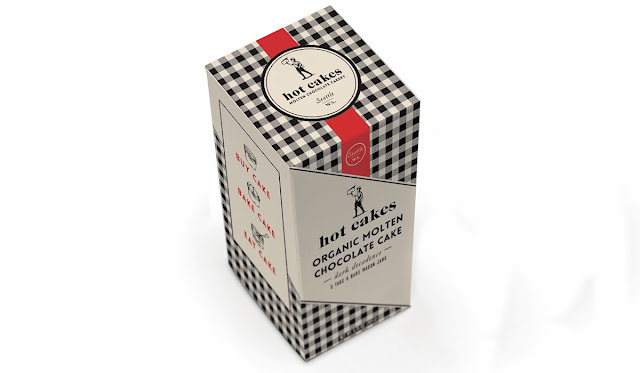 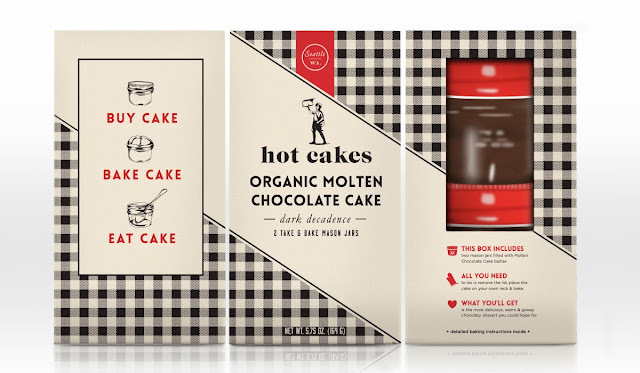 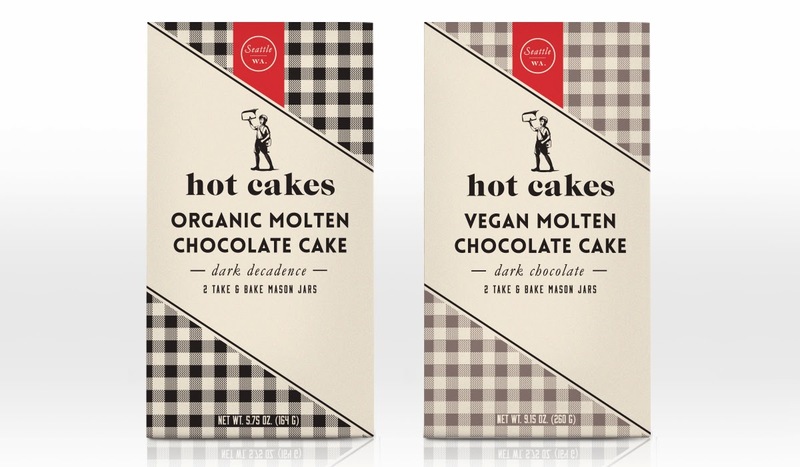 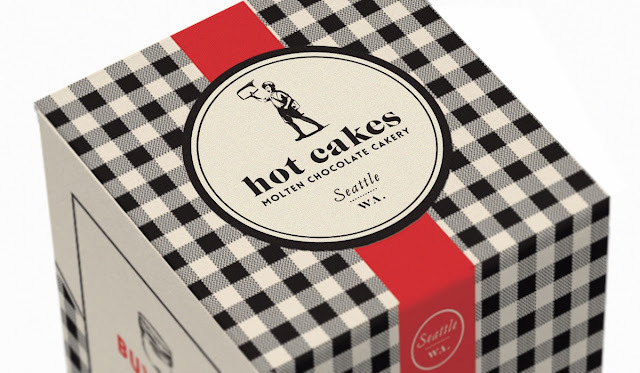 The primarily cherry red, dark chocolate, and whipped cream color palette pairs with classic gingham patterning as the signature design elements for the Hot Cakes brand. 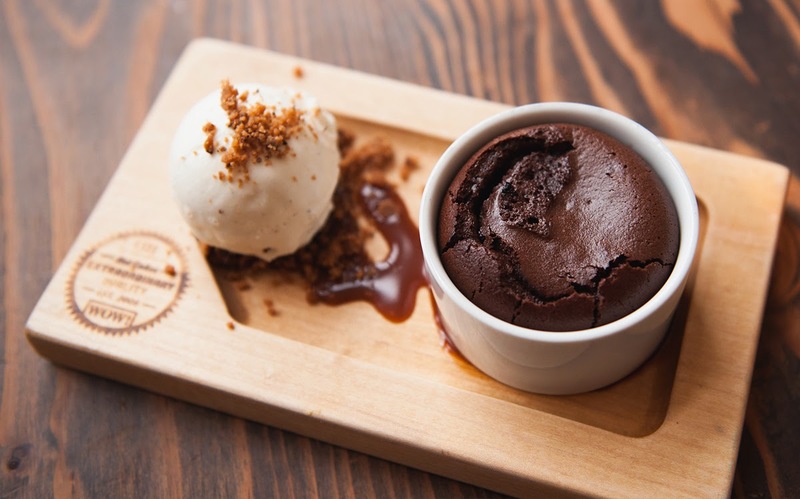 They can be found accenting the walls and fixtures of the company’s storefront, as well as the signature molten chocolate cake packaging. For products such as confections, where the product would not be viewable through the packaging, unique patterns were created to graphically correlate with the delectable treats inside. 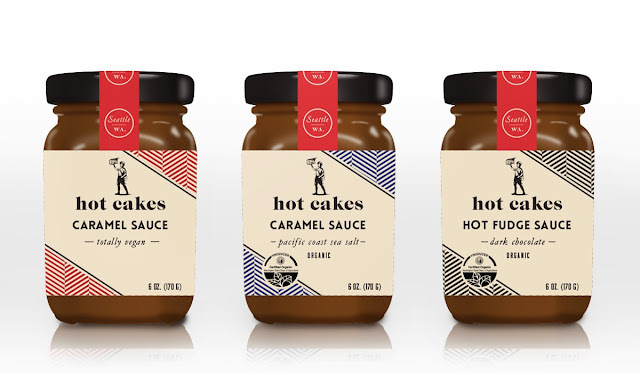 The herringbone pattern on the sauces abstractly represents a geometric approach to the fluidity of the product form; whereas the tree pattern for the “N.W. Inspired” line speaks to the smoky flavor profiles and campfire inspired applications. 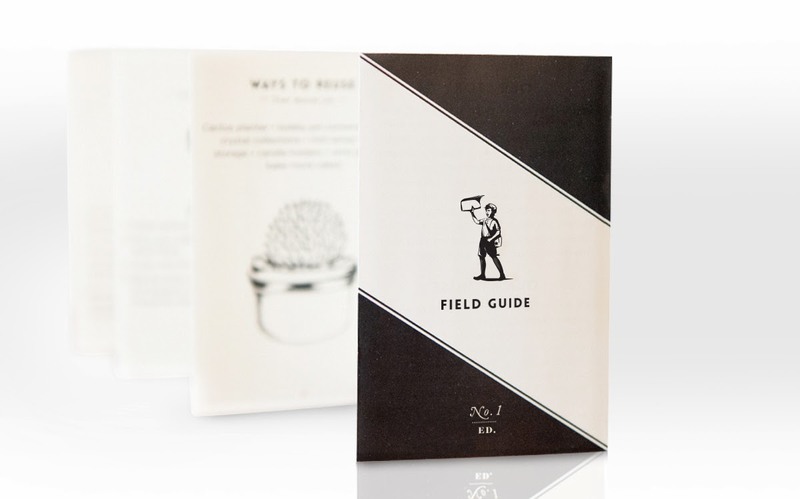 Inspired by her roots as a Girl Scout, Martin’s iconographic elements emulate vintage scouting handbooks. 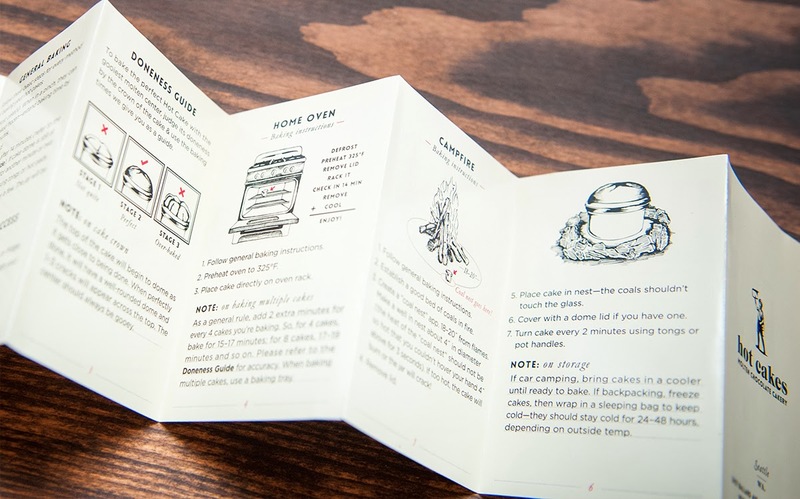 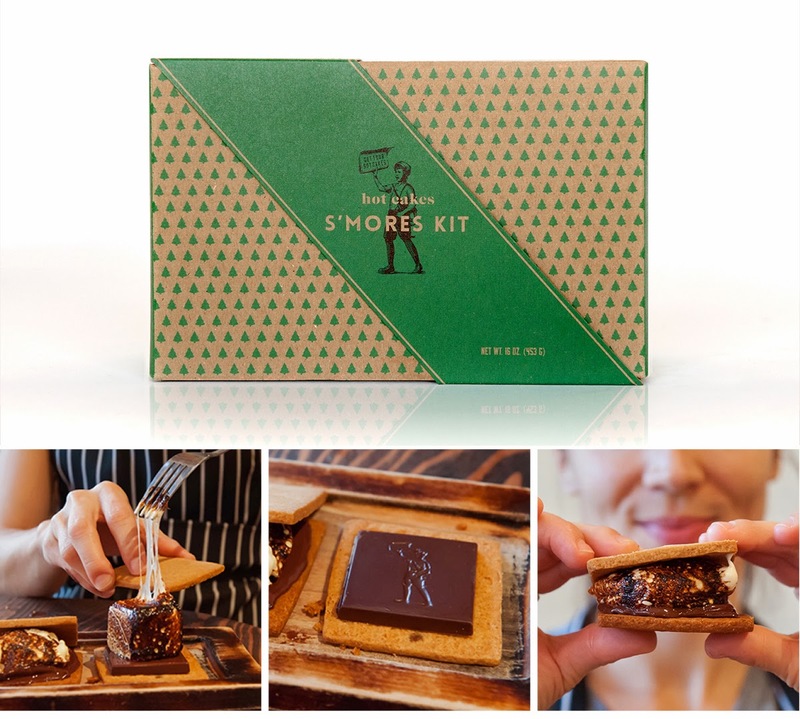 The hand-done illustration style is used in tandem with detailed instructional information in the Molten Chocolate Cake Field Guide, while merit badge inspired iconography is used when communicating more generic information such as product contents on the S’mores Kit.